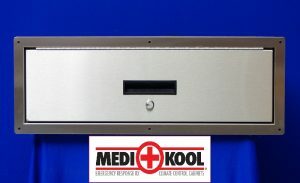 This small, thin unit is designed to primarily carry saline bags or small drug boxes. The MK 67 SS (D-Small) can be paired with the MK 59 (D-Large) unit as a “set”. Compressor can be mounted to the rear, right,left or top of the unit.